Writer: Christopher Nolan Stars:Leonardo DiCaprio, Joseph Gordon-Levitt, Ellen Page Runtime:148 minRated: PG (Canada) PG-13 (MPAA) for sequences of violence and action throughout. For Cobb, all you get is the world you live in, except with a twist: You can also have the world you dream in. But even in a dream world there are limits and you can lose yourself, lose your mind, lose everything and end up in a state of limbo. Death can be as real while you’re asleep as while you’re awake, under the right circumstances. The film also focuses on the question of inspiration, or as they generally call it: inception—planting an idea in the mind of a person in a way that they believe, in the end, it was their own idea, something they thought of on their own. As Lutherans this isn’t the way we think about inspiration, although the film’s writers go to great lengths to describe how an idea can start like a seed in the mind of a person a grow. (See Luke 8:4-8 and Romans 10:17) In Inception, this can be a good or bad thing. 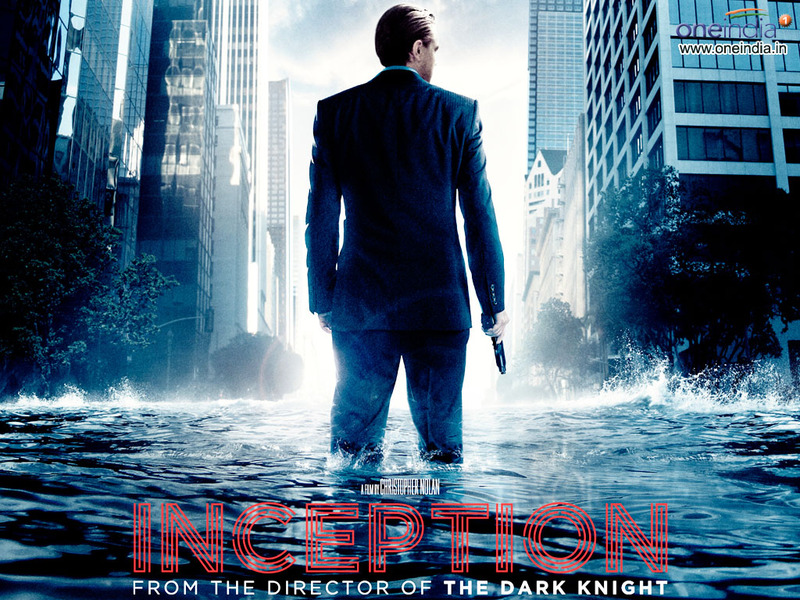 Generally, in Christopher Nolan’s film, he shows this planted seed of inception played out as something bad. Jesus is mentioned once in the film and the scene is repeated, coming in a flashback. In it, Cobb cries out the name of Jesus. At first blush it may seem like Cobb is using it like a colloquial swear, but it’s actually a deep cry of grief and loss coming from a man broken by what he has witnessed. It brings to mind the anguish of Psalm 88. However, Cobb has no hope; the film’s director, Nolan, has put the Name of Jesus Christ upon Cobb’s lips yet the character seems to have no hope in the name or person of Jesus. Cobb grieves as one who has no hope, except in himself, which is no hope at all and the viewer witnesses Cobb’s desperate struggle to find some alternate thing in which to put his hope. This is the bleak world of the materialist who has nothing ahead of him, no hope but in his own works: Once these works fail such a character has only despair and uncertainty. 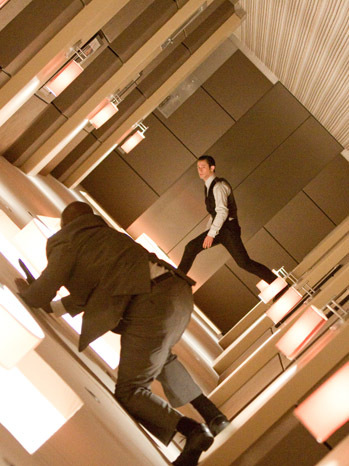 Inception is a well-paced movie, with scenes beautiful to watch. While it is rated PG there are a couple of moments that may be disturbing to the gentle-hearted viewer. If you’re looking for a summer film with some intrigue and entertainment value you’re looking in the right direction. 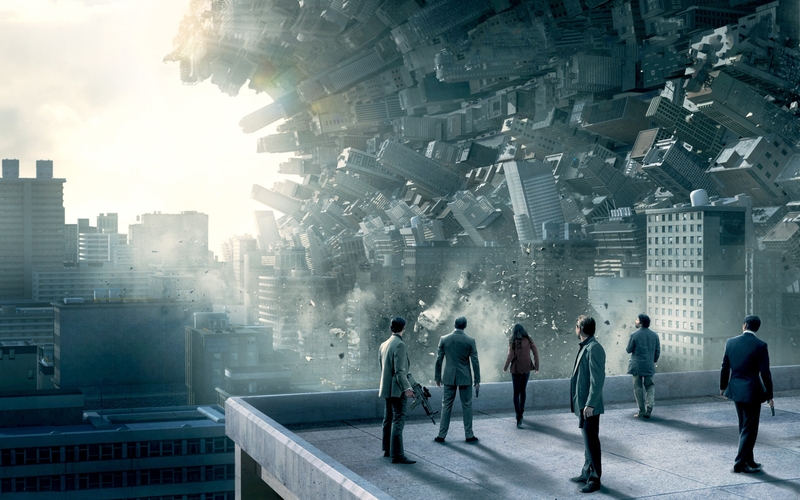 Inception has all the best qualities of Dark City and The Matrix without the visual darkness. The struggle to deal with life, death, dreams, and memories are dealt with in the light of day. This is an excellent film to see with a friend who is wrestling with the spiritual side of life and provides an excellent opportunity to share the hope of the Gospel. See the film and go for coffee or dinner and let the conversation happen naturally. Before you know it the conversation will turn to matters of faith.